Newark is the most populated city in New Jersey. Newark boasted a population of 277,140 in 2010. Nicknamed the Garden State, New Jersey is in the Northeastern United States’ Mid-Atlantic region. The state borders New York to the north and east, while the Atlantic Ocean borders to the east all the way to the south. The Delaware River and Pennsylvania border the state to the west, with the southwest having Delaware and Delaware Bay. Having a population of over nine million as of 2017, the State of New Jersey is the 11th most populous state in the US. The state covers a total area of 8,722.58 square miles with Trenton City being its capital. 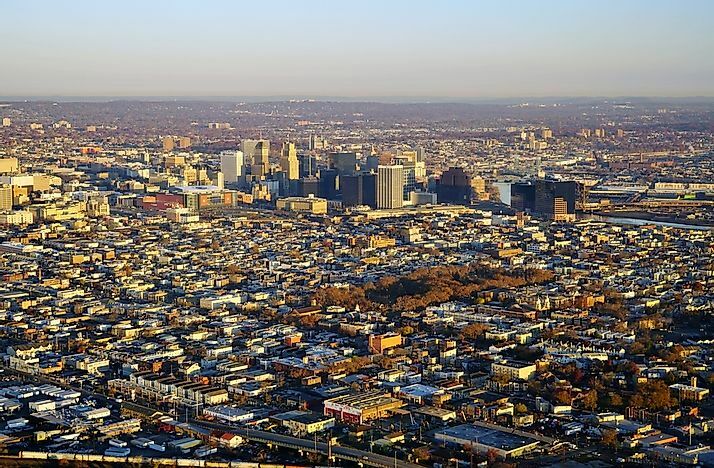 The City of Newark is the most populous in New Jersey. The 2010 census placed its population at 277,140, while a 2016 estimate placed the population at 281,764. The city’s location is at approximately 8 miles west of lower Manhattan. According to the 2010 census, the city’s population consisted of 52.4% African Americans and 26.3% of Whites. The Hispanics or Latinos of any race were 93,746, about 33.8% of the population, while Asians took up 1.6%. A third of the city’s residents were impoverished, with poverty remaining a consistent problem. The median age stood at 32.3 years with 25.6% of the population being under 18 years and 8.6% being 65 or more years. Jersey City has the second largest population in New Jersey. The total area of the city is 21.080 square miles with a population of 247,597 according to the 2010 census. The city’s racial makeup had Whites being the largest proportion of 32.67% while African Americans were 64,002 representing 25.85% of the population. Another large racial group was Asians at 23.67% numbering 58,595. The City of Jersey City had a median age of 33.2 years with the largest proportion being people aged 25 to 44 years at 37.6%, whereas 9.0% of the population was 65 year or more. Paterson has the third largest population in New Jersey. The city’s Muslim population is the second largest by percentage in the United States with Paterson being a dominant haven for immigrants from Hispanic and Muslim worlds. The city of Paterson had a population of 146,199 as of the 2010 census. Nicknamed the “Silk City,” Paterson has a total area of 8.704 square miles. The 2010 census showed 34.68% of the population as White, and 31.68% were African Americans. The city’s median age was 32.1 years with 27.9% of the population was below 18 years. According to the census of 2010, 68.6% of the population in New Jersey was White Americans with 13.7% was African Americans. The most spoken language at home in the state was English at 71.31%, with Spanish coming in second at 14.59%. New Jersey’s most significant denomination was the Roman Catholic Church at 34% with 3,235,290 people followed by the United Methodist Church with 138,052. Approximately 18% of the population had no religion while the Muslim and Hindu religions both took up 3%. The state’s most populous county was Bergen followed by Middlesex and Essex.